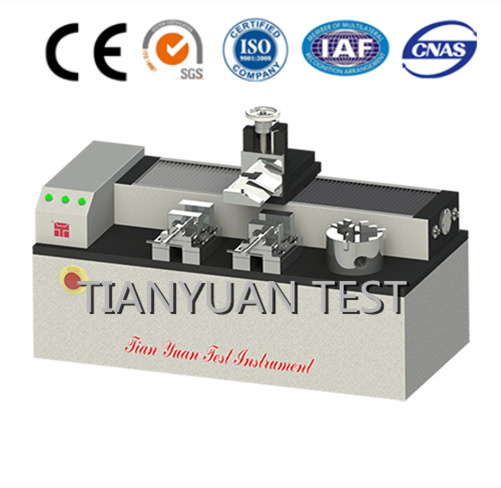 Usage:This Test Equipment is suitable for the preparation of XLPE cable, controlling cable insulated and sheathed specimens, completed the extensile and the tensile test for specimens, with horizontal, vertical slice functions in two directions to make the products meet the standard requirements. GB-11017 rated voltage 110kV XLPE insulated power cables and accessories. GB-12706 rated voltage 1 kV (Um=1.2 kV) to 35 kV (Um=40.5 kV) power cable with extruded insulation. Features::The machine is equipped with precise positioning drive screw and rod to make it more stable and accurate. Looking for ideal XLPE Cable Specimen Slicer Manufacturer & supplier ? We have a wide selection at great prices to help you get creative. All the XLPE Cable Specimen Slicing Machine are quality guaranteed. We are China Origin Factory of XLPE Cable Specimen Slicing Equipment. If you have any question, please feel free to contact us.